The Amusement Park Till 28 March at BCU Parkside & Millennium Point Up and running since Monday, this wondrous collection of installations and gizmos from various Finnish artists is a real treat. Make your own soundtrack, take a spin on a massive zoetrope, or leave an impression on the bed of nails. 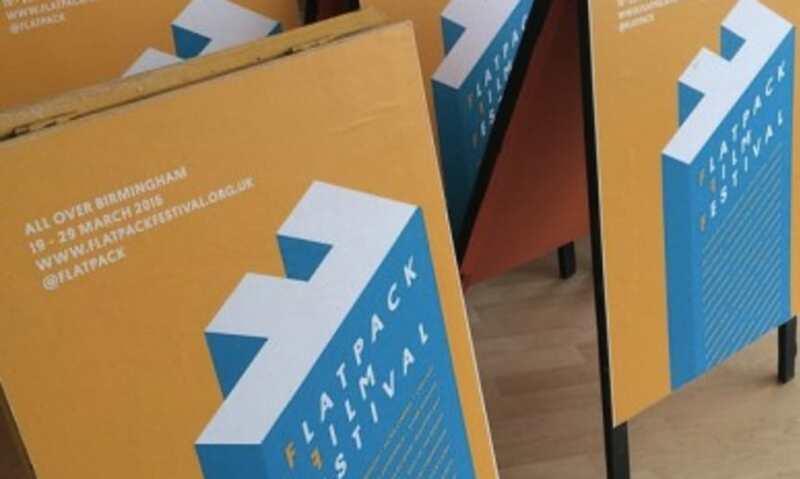 Film Bug 20 & 21 March in Colmore Business District The ideal way to ease yourself into Flatpackery - multiple screenings and events in spaces around the city centre, most of them free. Includes camera obscuras, 8bit gaming, kids' cartoons, archive treats and live drawing, climaxing with Battleship Potemkin in Birmingham Cathedral on Saturday night. The Paper Cinema's Odyssey 20 & 21 March at Birmingham REP Emerging just about unscathed from last week's awful fire at Battersea Arts Centre, this marvel of cut-out cardboard and live music has to be seen to be believed. Philip Donnellan Tribute 20-22 March at mac birmingham, & other venues thereafter Rare chance to feast yourself on the raw, poetic work of documentarist Philip Donnellan, who made films at the BBC in Birmingham for over 25 years. We're delighted that his daughter Philippa will be joining us for the weekend. Culture Club Sat 21 March at BOM & the Electric A day of lichen and slime moulds - what could be finer? Not forgetting some brilliant new films, including Celine Sciamma's 'Girlhood', the world premiere of John Humphrey's 'Numbskull', and jaw-dropping Ukrainian sign-language drama 'The Tribe'. Advance sales close at 12 the night before each event. Door tickets are available half an hour before start time. Apart from REP, mac and Electric, most venues are cash only. For full ticketing info click here. Limited Edition Flatpass If you fancy going the full monty you can still pick up one of these, offering access to the entire festival for £80.